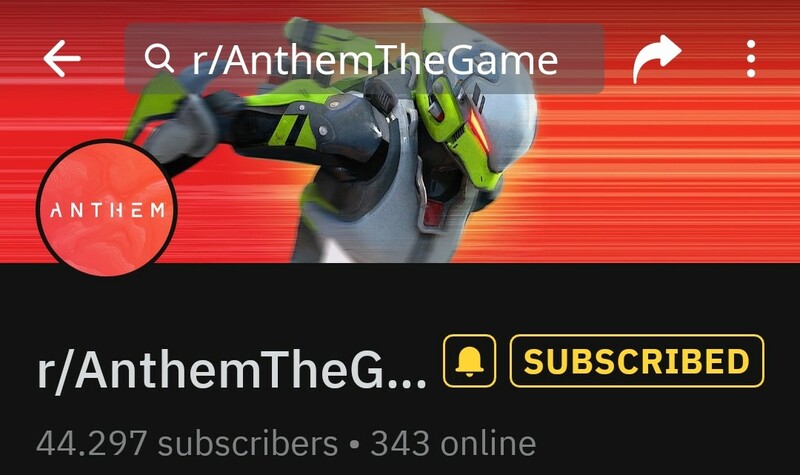 The AnthemTheGame Subreddit has over 45k subscribers! It's one of the biggest Anthem communities around the world and has great FAQs, Discussions about the game and artwork. Don't miss this great ressource and subscribe (for free) to become a member. Visit /r/AnthemTheGame There is also an Reddit app on Google Play.